Tissue Paper Is A Christmas Essential! With so many colours, varities and patterns, why not make your Christmas wrapping really special with tissue paper? There are so many vibrant colours to choose from a nd you can also get a Pack of 25 Sheets of Assorted Colours of Acid Free Tissue Paper giving you amazing value for money. They add a touch of luxury to all your gift wrapping. If you want to take things one step further, we now have Zebra Print tissue paper to give a really wild wow to your presents! To speed things up make sure you use Velcro Perfect Presents – it will save you the fiddle of loads of bits of sticky tape on the edge of your table! …but it’s not just useful for Christmas! Use it to store items properly – especially delicate items that need a neutral ph to prevent discolouration and damage in storage. And now it’s even bigger! 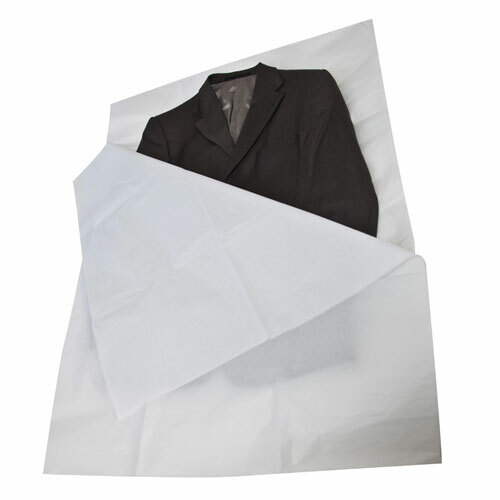 The 750 x 1000mm new size of Acid Free Tissue Paper makes it ideal for wrapping larger items such as when you are storing Suits, Wedding Dress, Costumes, Ball Gowns… not only delicate but often very valuable and with sentimental value and in particular need of being protected properly when stored. You may be asking what’s so important about getting the right paper to use when storing such items? You may think using any white paper is enough, but you would be wrong. Acid free paper is completely neutral on the pH scale and so prevents the paper from reacting with acids in fabrics and other items – this is the main cause of discoloration and damage during storage. Over time most tissue paper becomes acidic & brittle. 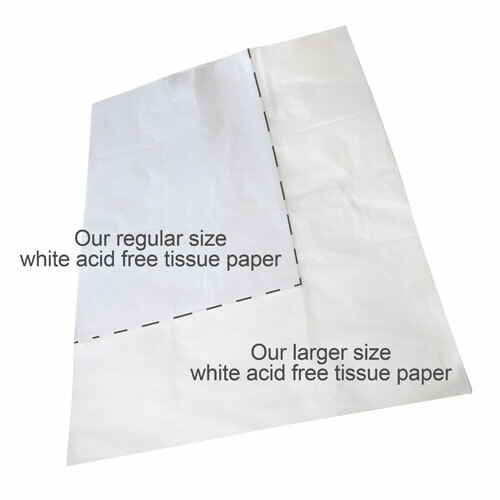 The acidity will transfer to adjacent objects & may result in some discolouration, so don’t be tempted to use anything other than Acid free tissue paper which is made to remove these contaminants making the paper suitable for use with cotton & linen textiles. It is important to preserve your valuable possessions such as wedding dress, not only for keepsake but to keep it safe before you put it on too! It’s also ideal for wrapping jewellery, crockery, glassware and other delicate items. Use it for wrapping and stuffing cups and glasses to provide support and protection from scratches and damage when packing into boxes. 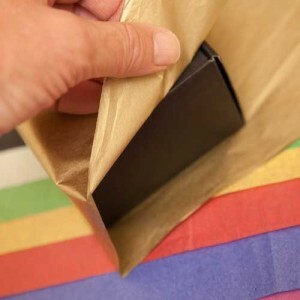 Acid free tissue paper will also protect items with polished surfaces and which are prone to tarnishing such as silver. 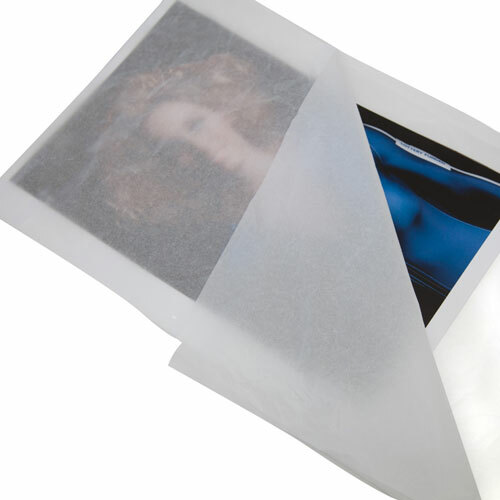 Each pack contains 25 x Jumbo Size Sheets 750 x 1000mm for wrapping larger items.